September 23rd in Theme Lists, WordPress Themes by Wordpress Jedi . 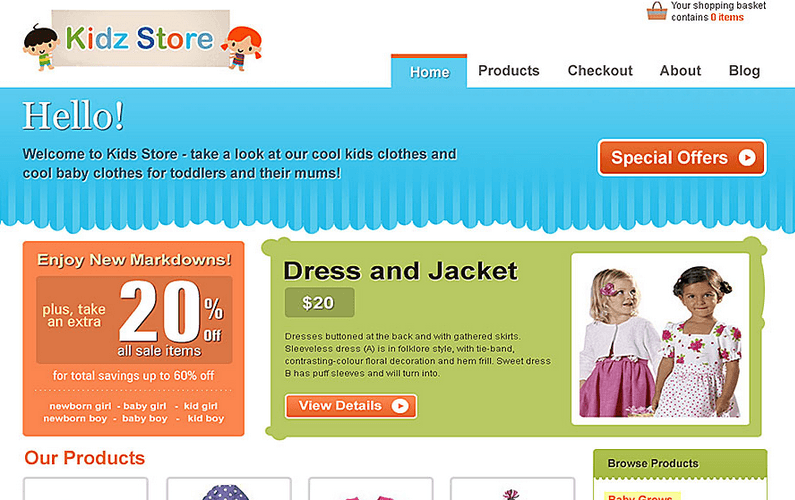 Kidz Store: designed for selling digital and physical products, kids-related or not. It supports various payment methods, including PayPal, 2Checkout and Google Wallet. It even lets you manage your own affiliates. Kids Zone: has 6 homepage and 4 gallery designs. The theme has 3 skins and is easy to customize. It is compatible with WooCommerce, Event Calendar Pro, and other top popular plugins. My Baby: a blog theme with an integrated shop. The theme is fully responsive and supports WooCommerce. It supports child themes and ships with the Soliloquy slider pack now. 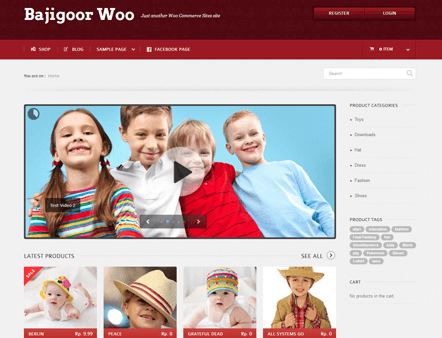 BajiGoor : a theme made for online kids apparel store. It offers a homepage slider and Facebook integration. It has 12 ready to use widgets. Sunny Kids: a responsive theme for WooCommerce. It has a homepage slider, easy theme customizer, and easy sidebar management. You are going to need kid related content and products to succeed in this business. The above themes simply give your online store a makeover.